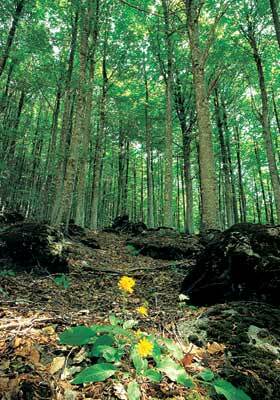 ...Immerse Yourself in the largest beech wood in Italy. Be dazzled by the thousand colours of the forest. Go Hunting for wild mushrooms, strawberries, and raspberries. Discover the chestnut road (IGP). The trails in Monte Amiata can be seen as a paradise for trekking, horse riding and mountain biking. In the parks and in the nature reserves our guides can bring you to discover flowers, plants and animals. Amiata is a great open air museum, an environmental park in which art, culture and nature happily unite.